Automate data enrichment for companies. 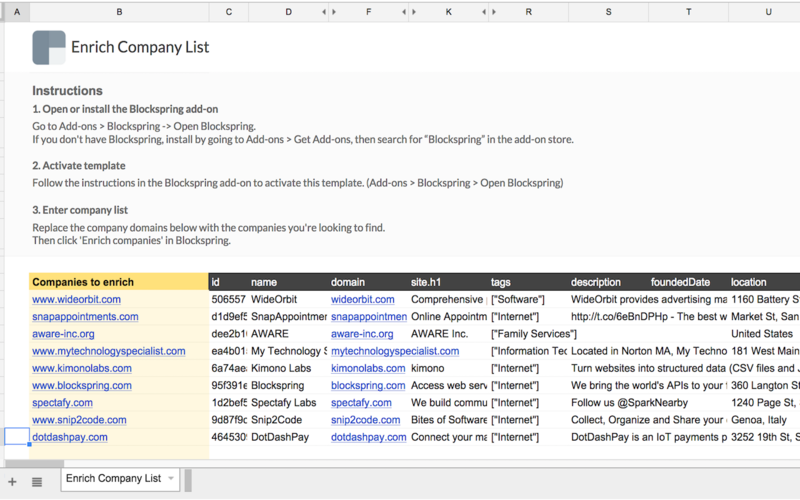 Given a list of companies, this template will get social info and company information for each. Clearbit offers a free tier with limited capabilities (50 matches/month), which are detailed here.